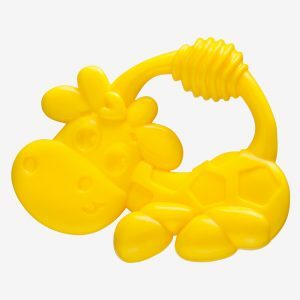 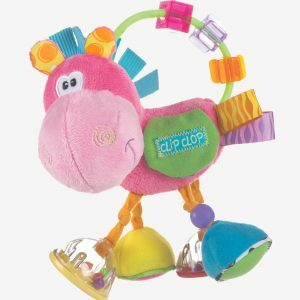 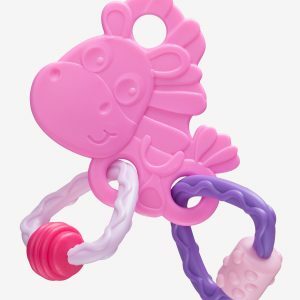 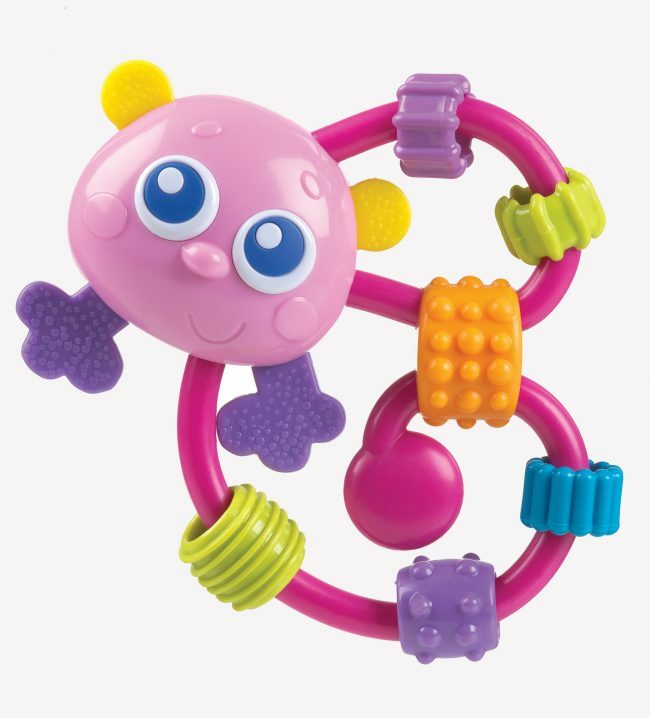 The colourful Curly Critter Mouse is a quirky rattle and teether rolled into one. 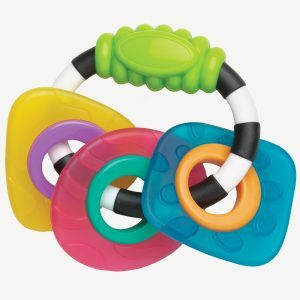 The unique design is the perfect size for little hands to explore. 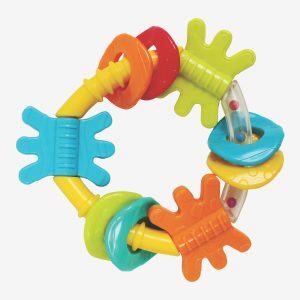 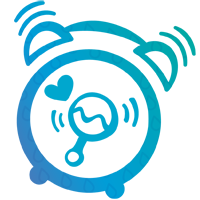 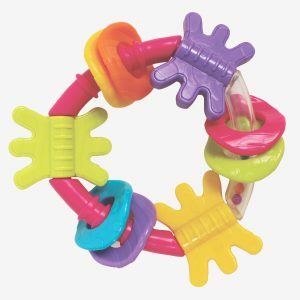 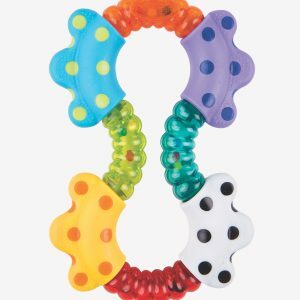 Offering click-clack sounds for auditory stimulation and textures to explore fine motor skills, whilst the textured teether tabs soothe sore gums.